It won’t be Parton’s first foray onto the dancefloor. Versions of Baby I’m Burning, from 1978, and Peace Train, from 1997, were both club hits. 1999′s remix-packed Walking On Sunshine EP wasn’t quite so successful, failing to make any kind of chart splash. 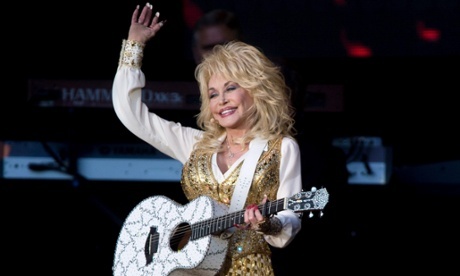 In the UK, Parton is currently enjoying some of the most loving attention of her five-decade career. Boosted by a performance at this year’s Glastonbury festival, the 68-year-old’s new best-of compilation, Blue Smoke, is currently at No 3 on the official albums chart.